If you’re looking for high blood pressure remedies, you’re not alone. Over 50 million Americans have high blood pressure, and it is the number one reason for medical office visits. Nine out of ten people will be afflicted with high blood pressure at one point in their lives. The older you get, the more likely you are to have high blood pressure. High blood pressure, also called hypertension, has been named “the silent killer” because unless blood pressure is extremely high, there usually are no overt symptoms. High blood pressure adds to the workload of your heart and arteries, and weakens the heart and the health of the entire cardio-vascular system. High blood pressure is a risk factor for some of the leading killers of our time, and for numerous other chronic diseases. High blood pressure can lead to hardening of the arteries, kidney damage, enlarged heart muscle, heart failure, heart attack, stroke, vessel weakness, and angina pectoris. The medical profession considers high blood pressure an incurable disease of unknown causes, and therefore drug therapy is prescribed for life. However, much research has shown essential hypertension to be caused by lifestyle factors. 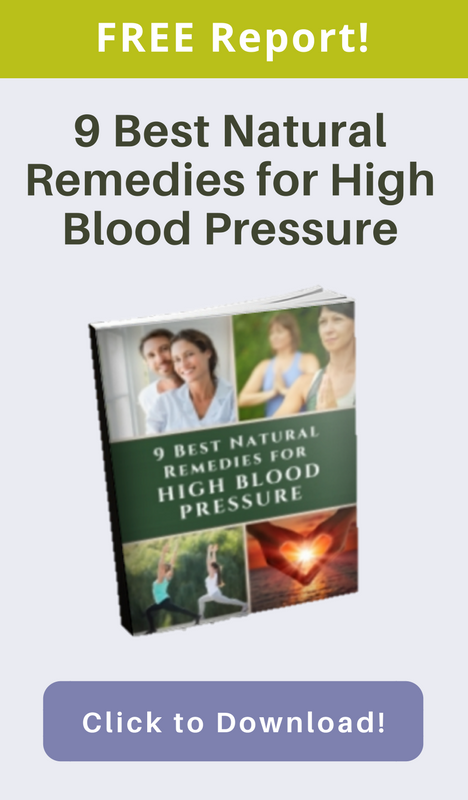 Indeed, the best natural remedy for high blood pressure may be to modify your lifestyle. Changing your diet, reducing stress, and making other simple changes can go a long way towards reducing blood pressure naturally. Because it helps reduce stress, may people have also found yoga therapy for high blood pressure to be very useful. Before we examine what high blood pressure is, let us first look at blood pressure itself. Blood pressure is essential for life. It is the force of the blood against the walls of the arteries as the heart pumps (systolic) and relaxes (diastolic). Blood pressure is the combination of the strength of the heartbeat and the resistance of the arteries and capillaries. The tiny arteries and capillaries contract and relax in rhythm with your heartbeat to greatly influence blood pressure. If vessels are not relaxing properly, there is more resistance, which increases your blood pressure. Also, blockages in the smaller vessels called arterioles can cause the blood to exert excessive pressure against the vessel walls and increase blood pressure. What are the classifications of blood pressure from healthy to severe? Generally speaking, blood pressure varies in a predictable way throughout the day. During work, blood pressure is usually highest. It drops slightly at home. During sleep, blood pressure decreases to its lowest level, and suddenly increases when waking and getting up. People with severe high blood pressure are at the highest risk for heart attack and stroke when they wake up. In most cases, the medical profession diagnoses hypertension as “essential” hypertension, meaning that a specific cause cannot be identified. Essential hypertension, also known as “primary” hypertension, is by far the most common type of high blood pressure, accounting for 90% of cases. The other 10% of hypertension cases have identifiable causes, and are usually temporary, known as secondary hypertension. Evidence demonstrates living a healthy lifestyle is more important than genetic risk factors for developing cardiovascular disease. Genetic predisposition to disease is not written in stone, as health and healing are alwayspossible. There are many ways to lower blood pressure naturally, such as: yoga asanas used therapeutically for high blood pressure, diet, supplements, meditation and stress release modalities, overcoming the fear of hypertension, overcoming depression, Bach Flower Remedies, physical exercise, acupuncture, acupressure, breathing techniques, energy healing, practicing self-love exercises, (NLP) Neuro-Linguistic Programming, to name a few. All of these modalities help enliven your mind/body intelligence to balance your physiology and promote your overall healing potential. Click here to learn more about ways to lower blood pressure naturally.